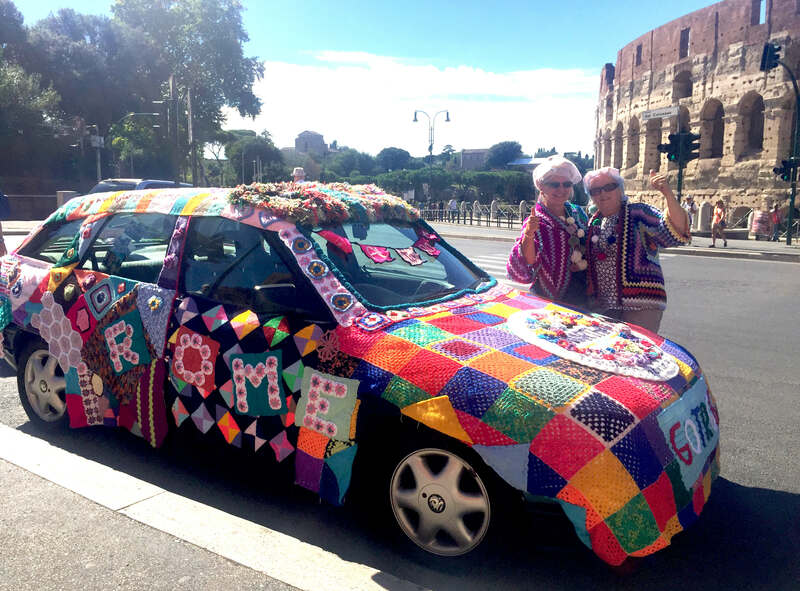 Rome had a new attraction this week when two British grannies pitched up in front of the Colosseum in a knitted car. Pat Wilson, 60, and Gillian Burford, 62, drove from Deal, Kent to Rome as part of a charity car challenge to raise funds for the Martha Trust, a Kent and East Sussex-based charity that provides residential and respite care for people with profound disabilities. For a couple of women who have never even changed a tyre before, it was a daunting prospect – especially since one of the conditions of entry was that the challenge be completed in a car costing less than £200. 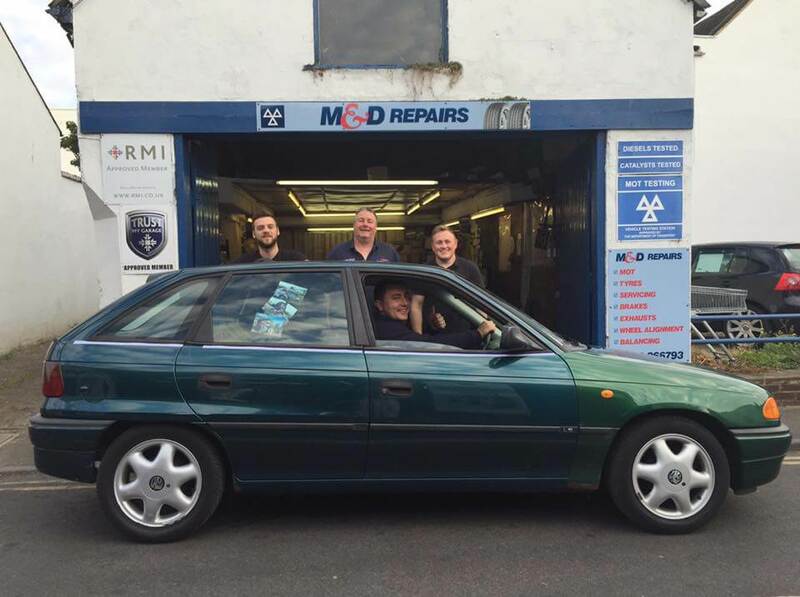 The grans opted for a 1997 Vauxhall Astra, which they affectionately named Bessie, and it didn’t disappoint, with the ladies completing the journey in just 3 days. 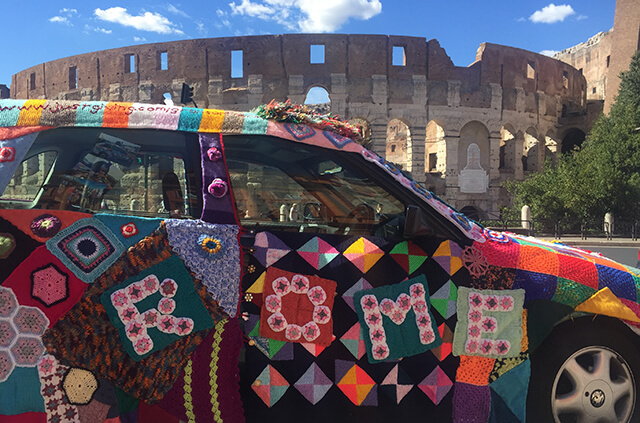 The knitted patchwork cover – which has Rome on one side, Deal on the other, and the Martha Trust logo embroidered on the front – took over 3 months to piece together using woolly donations from the local community. “We asked for donations on local Facebook groups and the response was amazing,” Pat told Institute of Mums. So far, the grans have raised over £5000 for the Martha Trust through individual and corporate donations. But they say they’re not ready to retire Bessie just yet, and already have plans to drive the car to Monte Carlo next year. Nevertheless, they say it will be quite hard to trump their Rome experience. “I felt quite emotional pulling up in front of the colosseum,” Pat told us.